How Much Healthier Can a Community’s Design Make Us? Show Me the Numbers! Chronic diseases are the leading causes of death and disability in the United States. In fact, chronic diseases and conditions—such as heart disease, stroke, cancer, Type 2 diabetes, obesity, and arthritis—are among the most common and costly of all health problems. In fact, seven of the top 10 causes of death in 2014 were due to chronic diseases. Yet, our health is more than just chance – We have a great deal of say in our health and longevity. While genetics play a role, our own individual behavior contributes 50% to our health, and our environment contributes another 20%. As a result, chronic diseases are among the most preventable through physical activity and other healthy behaviors. For existing chronic disease conditions, many can be improved through physical activity and other healthy behaviors. When we read about the Healthcare Crisis in America pundits point their finger and seek to place blame on medical insurance companies, or medical school tuition, or government regulation, or pharmaceutical companies, or failure of government to act. However, as difficult as it may be, we need to take a long hard look in the mirror. 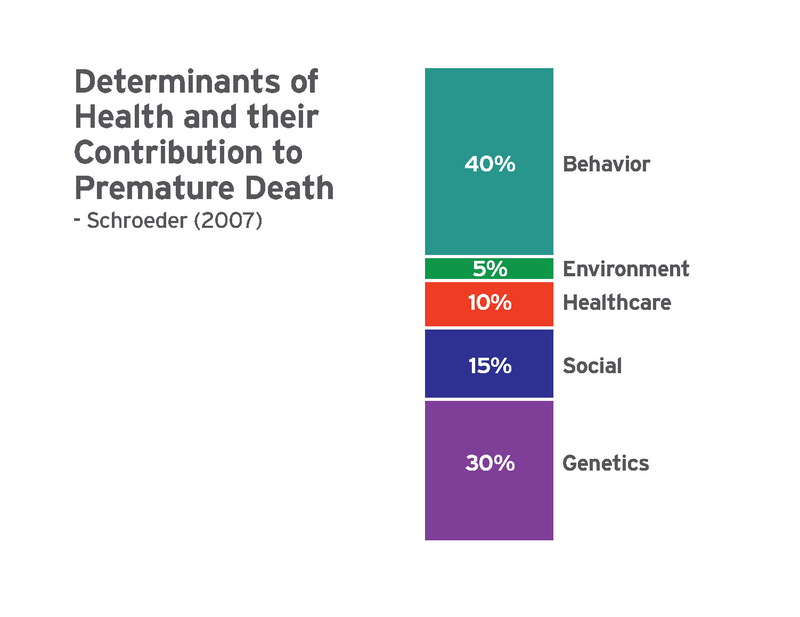 Chronic diseases comprise 86% (or the majority) of our annual healthcare expenditures – At the same time, most of the chronic disease is preventable through our own behaviors and, as a result, almost all of our healthcare’s $2.7 Trillion of annual expenditures are preventable, as well. We have to ask ourselves the question, “If 86% of our healthcare expenditures went away, would there be a healthcare crisis in America?” It’s the realization that our own physical inactivity, unhealthy behaviors, and designed environments are the source of our crisis that empowers us to solve the chronic disease and healthcare crisis in our communities. There is a growing awareness of the chronic disease crisis in America, as well as a growing awareness that community and building design play a role in disease prevention. 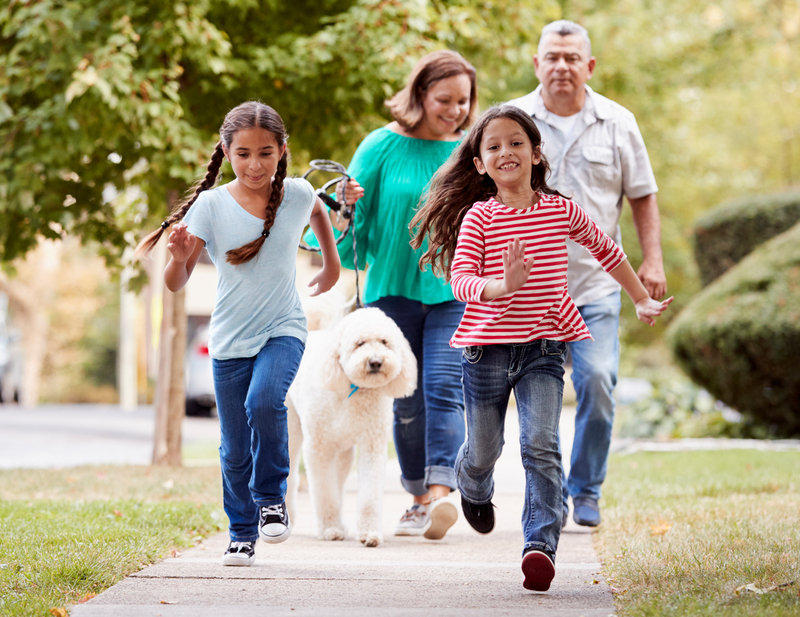 The Urban Land Institute, the American Planning Association, and the American Institute of Architects, among many others, have joined in promoting healthy communities and have published guidelines to help in that effort. When the term “environmental sustainability” was first introduced, it took many years to gain widespread recognition and for LEED (and other rating/certification tools) to not only be available, but to be required by many jurisdictions. Similarly, the healthy community and healthy buildings movements are in the process of gaining greater awareness and many jurisdictions are in the process of adding health components to their Comprehensive Plans. It’s likely just a matter of time until policy trickles down into zoning regulations. What does this mean for community design? In brief, the consensus is that compact mixed-use walkable communities are healthier than other types of communities, but can we measure this? What are the specific benefits? And how much healthier are they, really?